I had lunch today at “Scooby’s” hot dog restaurant on Azalea Rd. by exit 81 off 95. Is that Mechanicsville? The vinyl banner hanging outside (I hope it’s just their temporary sign) advertising “the premium hot dog” lured me in. I don’t actually think there’s much about a hot dog that can really be premium. I mean, if it was premium pork or beef – it probably wouldn’t have been blended into a meat milkshake and then extruded into some clear casing. But, I do like good tasting hot dogs. Maybe “premium hot dogs” really means “doesn’t taste like the crap we put in there”. Dang. How cliché is it to try to be snarky about the ingredients in a hot dog? 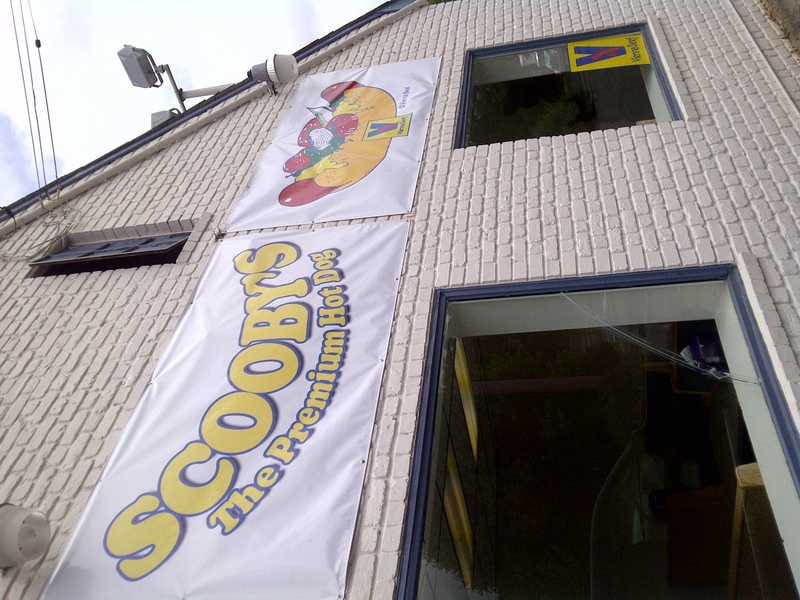 Scooby’s is a brand new hot dog place. They’re definitely still finding their rhythm for service but they were friendly. There were several people in line waiting to order. The only menu to be found is hand-written and taped to the counter by the register. I ordered a “Chicago Dog” (poppyseed bun, pickle spears, pickled peppers, tomatoes, onion, mustard) for $4.25 and a “mini pup” (a 3″ hot dog) with coleslaw for $.99. 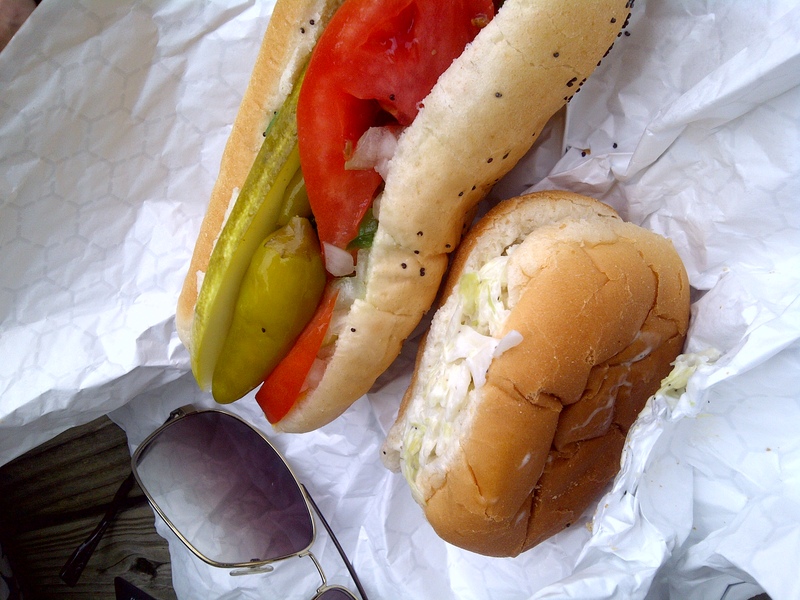 I could have eaten more, but $4.25 for one hot dog – even a premium one – seems a little extreme. The food was good. The “mini pup” was mini and the Chicago Dog was spicy and good. The raw toppings seemed fresh. Overall I enjoyed the meal, but not the price. I gave it 42 out of 51 points.